In everyday life, the last thing you want to see is a cockroach scurrying around your feet. But in an emergency situation, this robotic cockroach with its cardboard body might just be able to save your life. The VelociRoACH (the RoACH is for Robotic Autonomous Crawling Hexapod) is a four-inch-long artificial roach that can scurry an incredible 27 body lengths in one second. 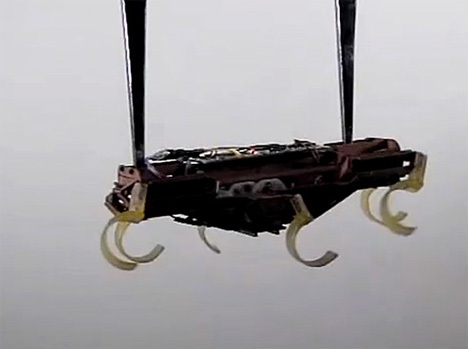 While it isn’t the fastest robot in the world, it is the fastest for its size. Created by the Biomimetic Millisystems Lab at UC Berkeley, the VelociRoACH has thin, flexible, C-shaped legs which mimic cockroaches’ spring-like legs. Its unique legs allow it to reach the incredible speeds it is capable of. 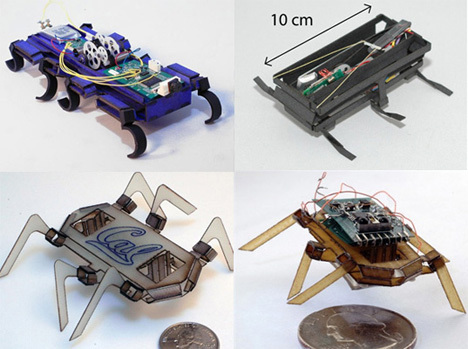 The tiny robot also acts like a cockroach when it reaches an obstacle: rather than going around, it simply climbs up and over. 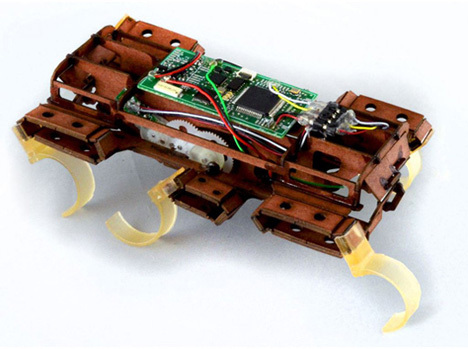 The goal of this and other animal-like robots created at the Biomimetic Millisystems Lab is to aid in search and rescue missions. The tiny robots can get into places that it would be impossible for humans to reach, and they can be built quickly and inexpensively on-site. The ‘bots feature a rigid but flexible exoskeleton, much like real roaches, and can dart quickly into almost any tiny space to quickly find people trapped in a disaster situation.